Pickup Truck Adventures | Will Silverado and Sierra get a V-6 Turbo when GM’s next-generation pickups roll out? DETROIT — Ford’s huge success with its EcoBoost V-6 engine on its pickups is well-documented. So General Motors just can’t wait to match Ford with a V-6 turbo when GM’s next-generation pickups roll out next year. Reuss is referring to GM’s two-pronged strategy of offering a mid-sized pickup, the next-generation Colorado, alongside the full-sized Chevrolet Silverado and GMC Sierra. Ford phased out its compact Ranger pickup last year and will stick with the full-sized F series as its only pickup. Reuss believes the full-sized pickup can’t be all things to all customers. Fuel economy often isn’t the top priority for construction workers or ranchers who rely on their pickup for a living, he figures. 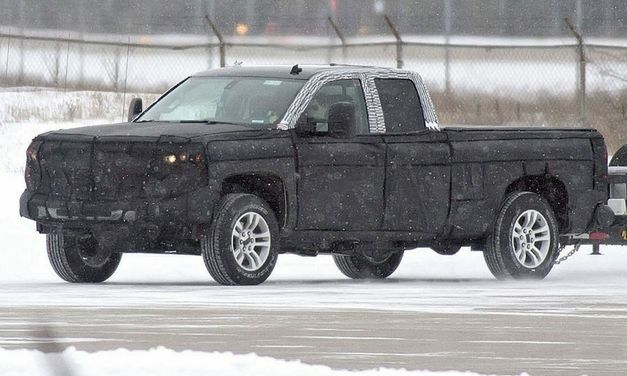 He looks at it this way: To downsize from the V-8 engines offered on the current generation Silverado and Sierra but still get adequate power and towing capacity, GM would have to significantly reduce the truck’s weight and downsize the powertrain. “So what have you really done? You’ve made a mid-sized pickup,” Reuss says. Now, Reuss didn’t say that GM won’t offer a V-6 turbo as part of the engine lineup on its next-gen pickups. And it would be surprising if GM didn’t eventually offer one, given Ford’s success. GM is rumored to be developing a twin turbocharged V-6, although it’s unclear what vehicles it’ll go into. Reuss’ comments offer a window into the divergent views of the pickup market by the industry’s biggest truck makers. Over the last decade, the market for smaller pickups has contracted as full-sized pickups became cheaper and more fuel efficient. GM’s strategy seeks to unblur that line by offering “quite a bit” better fuel economy on the Colorado, Reuss says. Regardless of the engine lineup, the redesigned Silverado and Sierra will be lighter and more fuel efficient than the current generation. 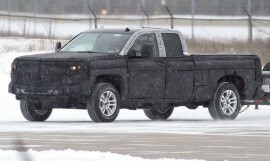 They are expected to get GM’s next-generation small block V-8 engine with direct injection. Expect an eight-speed transmission to improve efficiency, too. You can reach Mike Colias at mcolias@crain.com.